WHITING, Ind. 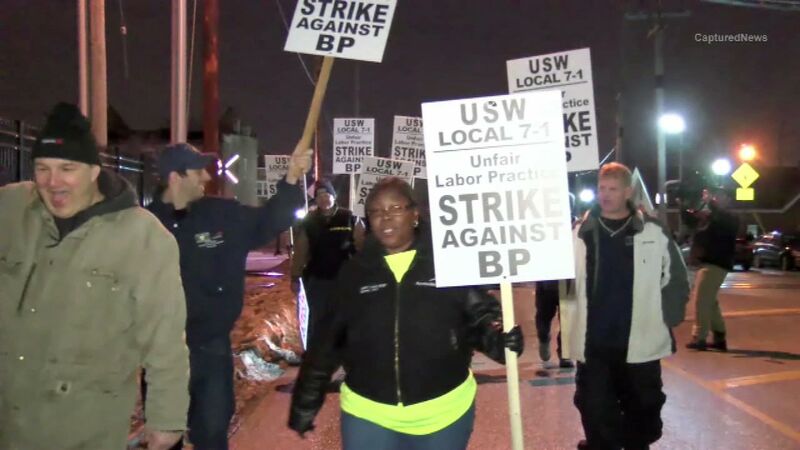 (WLS) -- Striking workers at BP's refinery in Whiting, Ind. may be headed back to work soon. Workers and management have reached a tentative agreement. The United Steel workers still have to ratify the contract. A vote is expected in the next few days. Workers at refineries across the country walked off the job in February. A national agreement was reached earlier, but the local union was still negotiating the right to bargain over issues of worker conditions at the Whiting plant.